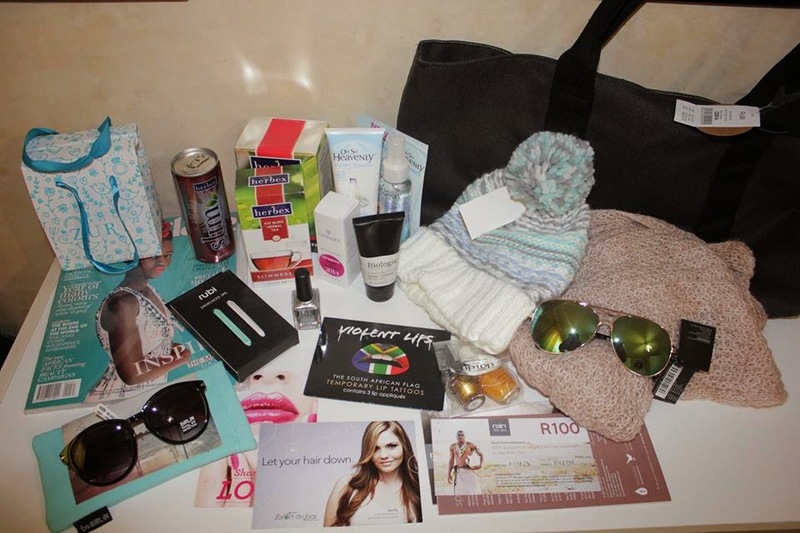 Over the weekend I attended a blogger meet at the Three Cities Bantry Bay Suite Hotel hosted by Grey Garnet PR. It was such a picturesque drive to Bantry Bay despite the cold and dreary weather conditions. I arrived early, in an attempt to bag a good parking spot, and found Jade and the Grey Garnet guys busy filling our awesome goodie bags with even more great stuff. We were treated to hand massages by Eternal Child (Thanks Amanda!) whilst mingling with fellow bloggers. The program started with a talk by Margaux Knuppe from Rubybox beauty and I was really intrigued with their story. Having spent so much time in corporate dealing with large businesses, it was a truly inspiring story - having started the business from home, then applying for venture capital to grow to the next level. And finally taking the big leap and partnering with the biggest media house in Africa to expand phenomenally. There were some great prizes up for grabs, a few of them for the fastest tweeting fingers and a couple of lucky draws. I was fortunate to win a Sorbet body butter and moisturising gloves- super score! The excitement was then followed by a few more speakers, namely Jill Hector, personal stylist and Meagan Duckett, fashion lecturer and blogger. Chantal Orton from Whipp’d Cream also gave some background to the start of her clothing and design business, and all I could think of was how I wish I had won that gorgeous denim jacket (it featured the all important pleather sleeve afterall!). The morning ended with some delightful eats in the foyer and bar area and what felt like millions of photos. I unfortunately didn’t get to meet, or manage to grab a photo or even the briefest chat with everyone - I totally admired the amazing display of fashion savvy in the room. A huge thanks to Grey Garnet for inviting me, and to all the awesome sponsors who filled that fabulous Cotton On shopper. Isn’t Chantal Orton the most beautiful photobomber?